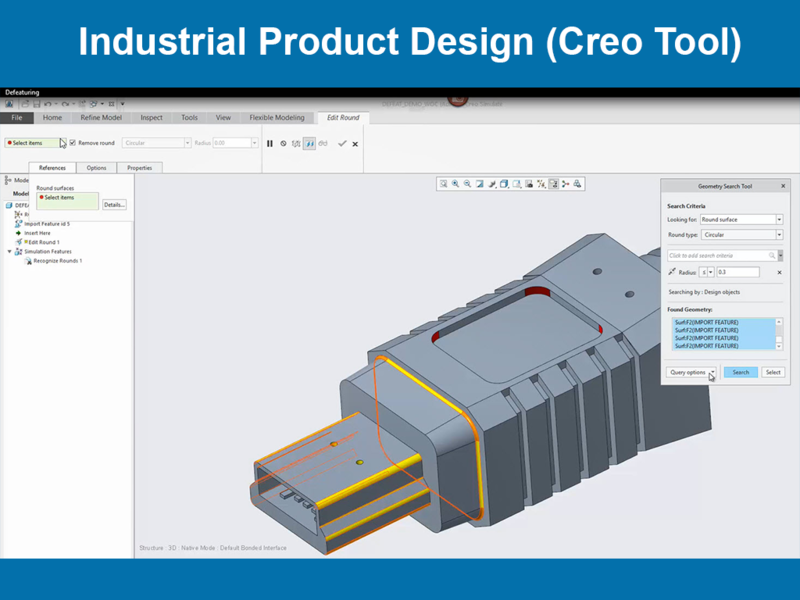 CREO, earlier known as ProE, is a multi-tool software encompassing concept design, 2D, 3D, simulation & analysis. PTC has made CREO into a unique tool, which takes into account how design and development of product is done in modern day. The key feature of CREO is faster time-to-market, product quality, design efficiency; minimum errors, less scrap and rework. Creo is a relatively new software but has already shown its potential in the market as many big companies from various industries have utilized it to build products. Even NASA uses this software to conceptualize its design. MakerBot and philips are other loyal clients of PTC Creo. A product designer and engineer are required to have complete knowledge about developing a design virtually. But we believe an engineer needs something more than that to strive in an industry. This course is a part of Ready-for- Industry courses, which aims to make, the budding design engineers, adept with the scenarios in a company. The outcome of such courses is to give that extra edge to the students where in a company views them as the right candidate. 1. You will learn how to sketch, model, validate design and visualize product design using the software. 2. You will be able to do direct drafting, direct modelling and parametric 3D modelling. 3. You will know how to validate your product design according to the given requirement.